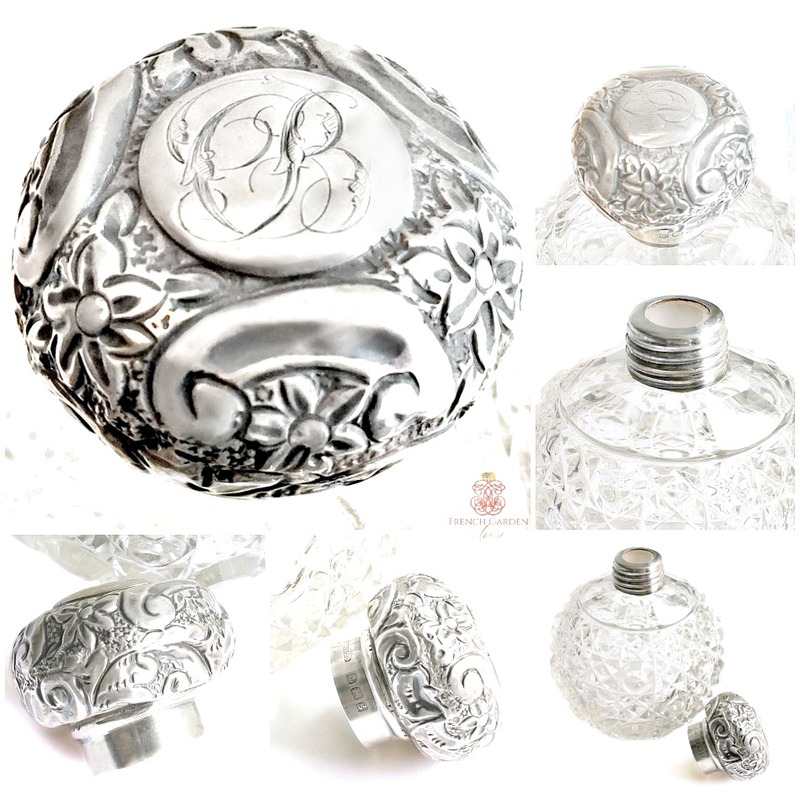 Exceptional Antique English Sterling Silver and hand-cut crystal scent bottle, with a hand-chased round mount and a repousse top with floral decorations. Made by John Collyer of Birmingham in 1906. 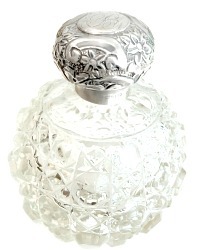 A gorgeous, decorative way to keep your favorite scent on your French vanity, or display this empty with your collection of antique silver and cut crystal objet d'art. Fully marked with the lion passant, the Birmingham shield, and the date letter for 1906. The top has the monogram C B F in beautiful scrolled script letters. 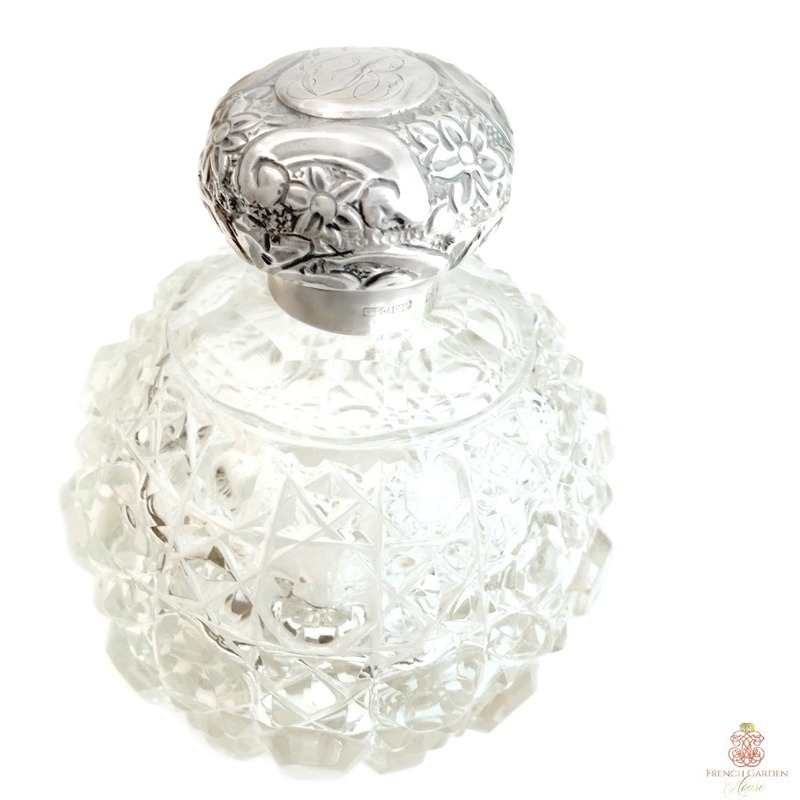 There is a little indented part on the top, this bottle has been used and loved by a woman long ago on her dressing table. Please only purchase this if this doesn't bother you - this piece has history, personality and most likely belonged to an exciting woman not unlike you!